Papa Bird picked a peck of peppers this weekend. Ok, maybe not a peck… To be perfectly honest, we can’t remember what kind of peppers he planted. Perhaps Anaheim or Poblano. But the long peppers were begging to be stuffed and I had a can of sustainably fished, wild pole-caught tuna packed in olive oil. This recipe is my best recollection of a tapa I once enjoyed in a Spanish restaurant. ¡Buen Provecho! Preheat the boiler to its highest setting. 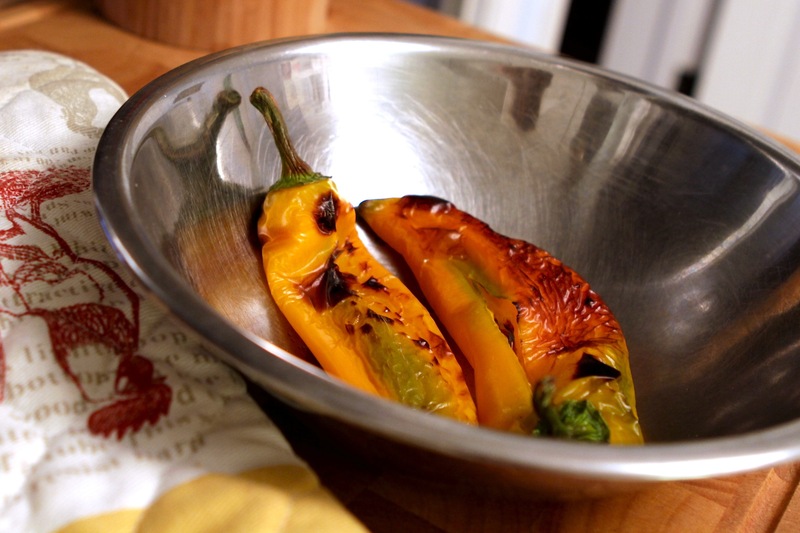 On a baking sheet lined with a silicone mat, broil the peppers until the skin starts to char. Remove from the oven and place the peppers in a bowl, cover with a lid and let sit, covered, until cool enough to handle. The steam and condensation should make the skin easier to peel. Peel and discard the skin. In a bowl mix the remaining ingredients. Carefully slice an opening in the side of the peppers. Spoon the mixture into the peppers. 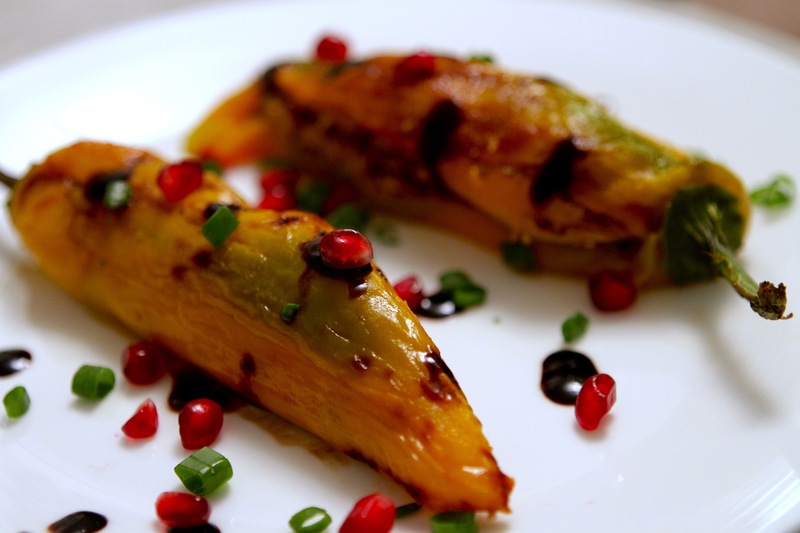 I garnished the peppers with a balsamic reduction, pomegranate seeds and green onion from the garden. It is traditionally served with crusty bread. This entry was posted in Food, Healthy Recipes, Recipes from the Garden, Urban Agriculture and tagged easy farm to table, easy seasonal cooking, easy seasonal recipes, farm to table, peppers, Urban Homesteading, victory gardens. Bookmark the permalink.